Post subject: KEVINZ balls on Amazon? 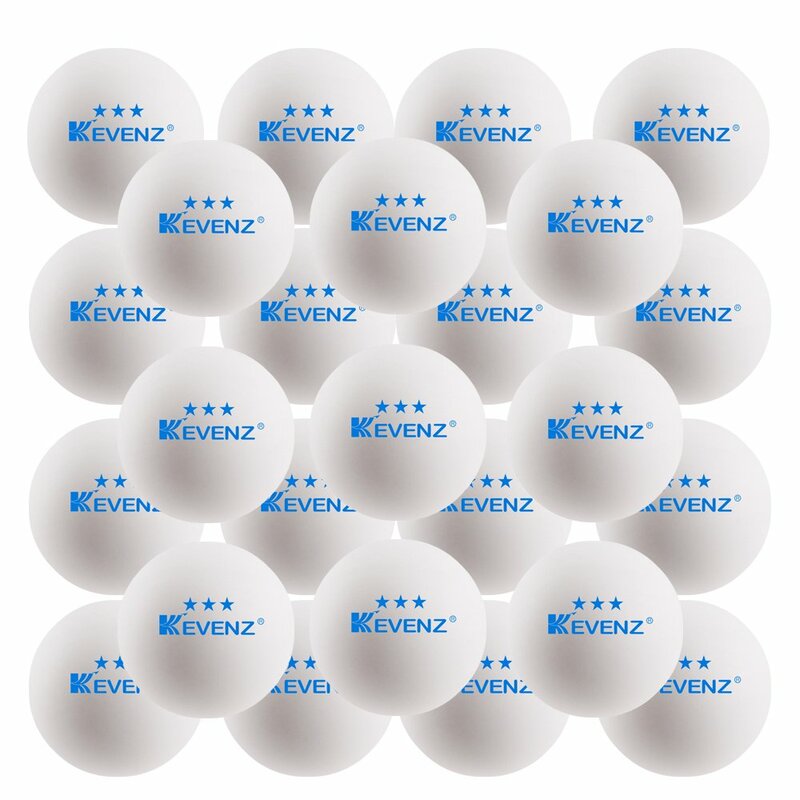 "50-Pack KEVENZ 3-Star 40mm Orange Table Tennis Balls, Advanced Ping Pong Ball"
These are highly rated on Amazon, but how are they? They say 3-star, but I maybe that means 1-star? I see they are 40mm and not 40+. I light a white and orange one, and can confirm they are cellulose. Post subject: Re: KEVINZ balls on Amazon? These days Amazon is awash with fake Asian brands with goofy throw-away computer-generated names like "KEVENZ". "MAPOL" also came up as a table tennis ball brand that "Customers also viewed". Give me a break! You get what you pay for and these appear to be pre-40+ garbage. I'd be surprised if they were even 1-star. They claim to be seamless, but are not. They claim to be 100% tested, but that seems impossible given 100% of the ones I measured are out of spec. I weighed 66 of them at 180 grams. That is 2.73 grams average. I can see the seam inside, but can't feel any seam. 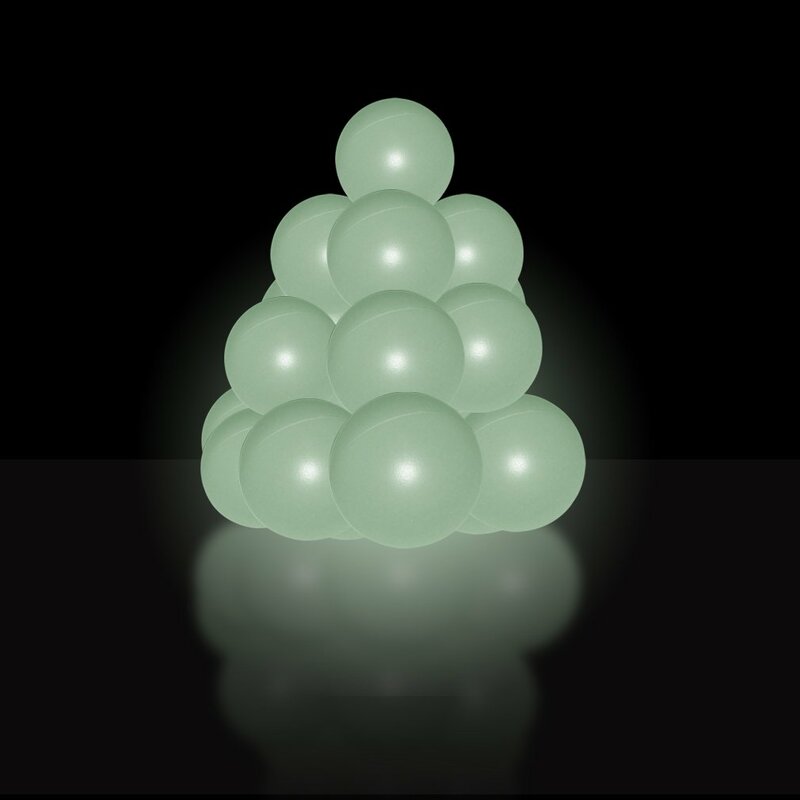 Average diam. across seam is 39.36mm. Perpendicular to seam is 39.61. Average those and that is 39.49mm. As far as I can tell, not even one ball is within spec and they are all undersize. I used Fakespot, and it says that 80% of the reviews appear to be high quality, and that Amazon scrubbed 76 reviews - which is evidence that Amazon detected fake reviews and worked to remove them. I am sort of amazed at how people ask questions on Amazon as to what the balls are made from (and I assume the two possible answers are poly/plastic or celluloid), and people say "plastic." They are celluloid. I could easily return the 150 ($30 worth) I have because they don't match the description of being between 39.5 and 40.5mm and they claimt o be "seamless," and are not. My goal is to get balls for a Newgy 1050+ for beginner use. I can search around as for what people have suggested in the past. Here is their description: "KEVENZ Ping-pong All the table tennis balls are produced by our own factory in China.Balls are detected strictly before leaving factory to ensure quality,they undergo 100% test. 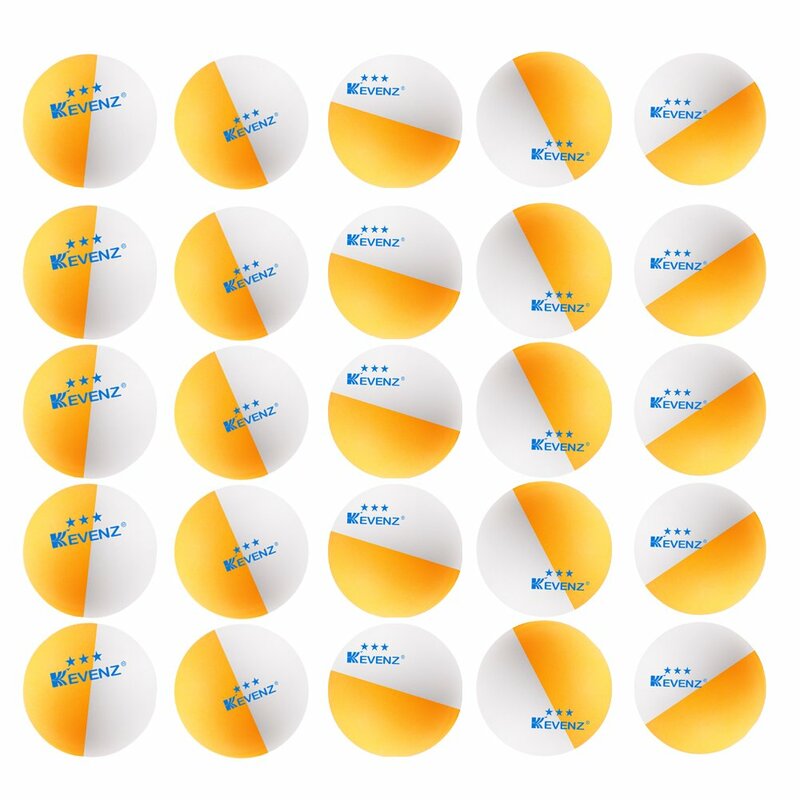 As standard 3 star ping pong balls,they are durable,seamless,no wobbling,and long-lasting,the impact of it more than 1000 times,no crack.They offer great bounce,superior spin,good control. Suitable for multi-ball training :school traing,Table Tennis Arena, table tennis robots and other recreational play.No matter you are a professional player or a beginner,the balls will work fine,help you practice or in the tournament. Packed in the cardboard,it is safer and easy." We use them at work. Burn test says they're celluloid. Calipers say they're 40mm. Quality is not bad, durability is pretty good - we don't get too many broken on racket-edge hits.